I rarely go to the hairdresser. I don't seem to have the time. And with a small baby, I just couldn't guarantee he'd sleep through an entire appointment. However, during my latest pregnancy I noticed that the odd grey hair also seemed to have gone forth and multiplied. So, one of the first things I did after giving birth was to dye my hair. (You are advised not to use hair dye while pregnant). But I only used a semi-permanent because I knew I'd make a hash of it. Luckily the completely inappropriate shade (probably the same dark red I favoured at the age of 15) and uneven coverage soon washed out. And I was still left with those increasing numbers of grey and white hairs. 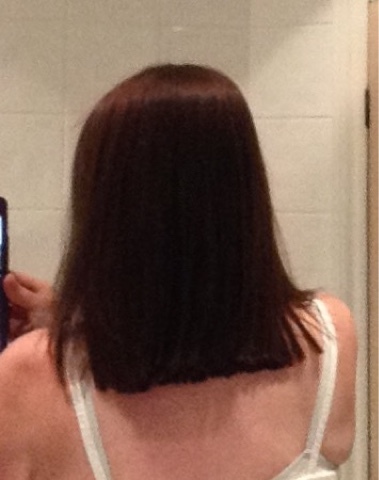 Going to the hairdresser for a proper cut and colour filled me with dread. I could see it taking a lot of time and costing a lot of money. And then I remembered that a friend of mine is a mobile hairdresser. 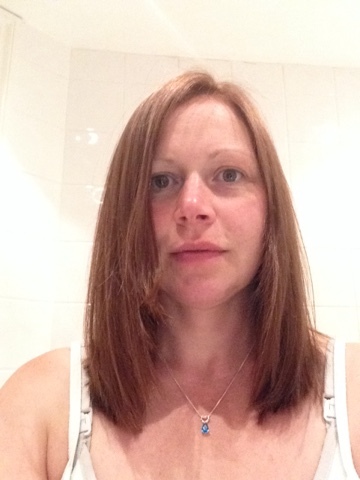 Jo has three children and says that while many of her clients are the stereotypical elderly ladies who can't always manage a trip to a salon, she's increasingly seeing lots of mums who can't get out because they've got kids. I made the appointment in the school playground, with a brief description of what I wanted. Two days later she popped round to do a patch test, to make sure I wasn't going to react to the dye. And the following day she came to my house to transform me. Jo brought her gorgeous two year old daughter with her. And while she played with Baby O in the lounge with my au pair, Jo set about rejuvenating my maturing locks. And when Baby O got cranky and needed a feed I got on with it while Jo carried on around us. It was one of the most relaxing hairdressing experiences I've had. And I finally have a professional colour job and a cut that works for me for less than I would have paid in a salon. I'll definitely be using Jo again. I'm really pleased with the results: she's matched my natural hair colour and cut me a beautiful long bob that's slightly shaped around my face. It's versatile enough to tie back in the hot weather and away from small fists that like to grab, but short enough to look good loose.